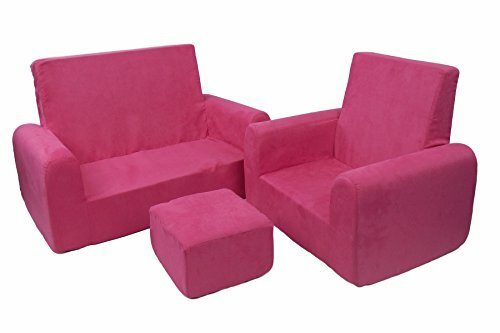 The toddler sofa, chair and ottoman set is a comfy place for toddlers to play and visit with friends. Kids will love the light weight, yet firm, all foam construction. Little hands can move the set easily from room to room to have their very own seating.